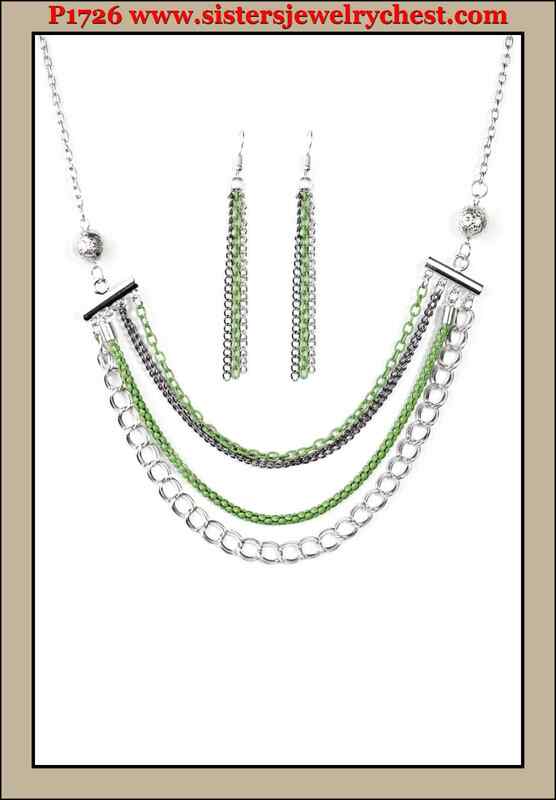 Two floral silver beads give way to an array of green, gunmetal, and silver chains. Strung between two metal beads, the mismatched chains layer below the collar in a colorfully industrial fashion. Features an adjustable clasp closure.